Organization plans to use a matching grant to establish on-campus operations. Being scrutinized when you’re in trouble is never easy, no matter how old you are. And, when you’re walking into court as a teenager, the experience can be terrifying. But Teen Court of Sarasota presents an alternative. Instead of going to a regular court, at-risk teenagers who have committed a crime have a chance to go to Teen Court, a court run by their peers. In Teen Court, the defendants explain their crime to a jury of their peers, and then receive a “sentence,” usually community service hours geared toward something in which they’re interested. The biggest difference is the teens can avoid having a criminal record by completing the program. Teen Court Executive Director Heather Todd. And now, with a matching grant of $25,000 awarded to the organization by the Community Foundation of Sarasota, students can receive the attention they need without leaving campus. Lashelle Williams, a client coordinator and case manager for Teen Court, used to have to wait for the young clients to come to her office in downtown Sarasota to help them. To get there, some students would miss class or face difficulty securing reliable transportation. But the new grant, matched by the Sarasota County School Board, provides the Teen Court with the funding for case managers to be stationed at local high schools throughout the week so they can go to the students, not the other way around. Thanks to the grant, Teen Court is now able to serve the students of Booker, Venice, Riverview, North Port and Sarasota high schools and Triad on their own campuses. One client, whose identity was withheld for publication, said Teen Court can help students who might not otherwise know of their options. 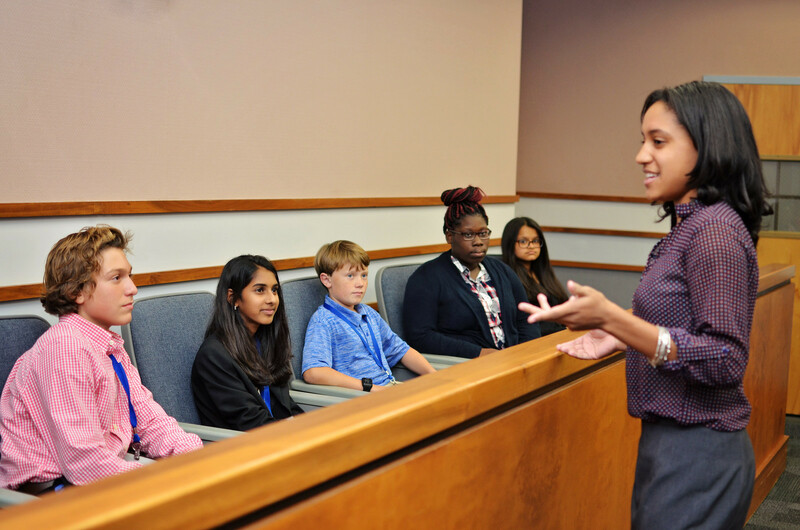 Teen Court is run by students so that defendants may be positively redirected by their peers. Photo courtesy of the Teen Court of Sarasota. 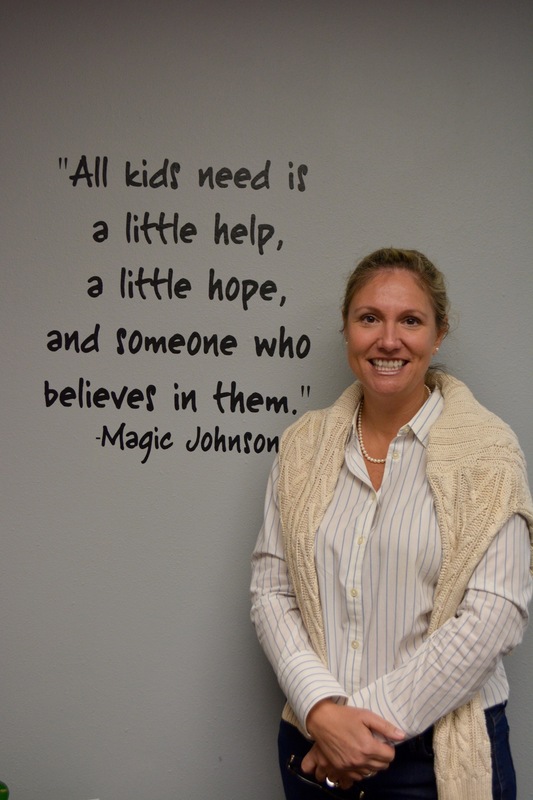 Additionally, the grant helps the Teen Court guarantee their services, regardless of a student’s financial background. Teen Court is proud to join forces with North Port D-Fy, an initiative for local youth who share a commitment to making positive choices and living healthy, drug-free lives. -Venice, Fla. (August 30, 2018) - It is with pride that Teen Court of Sarasota, Inc. receives a $2,500 donation from the Suncoast Professional Firefighters & Paramedics IAFF Local 2546. The newest relationship to develop at Teen Court is with the Suncoast Professional Firefights & Paramedics IAFF Local 2546. Heather Todd and Lori Moran of Teen Court jointly acknowledged this new relationship as another valuable collaboration of our community caring about the needs of our most vulnerable youth and their families. We are truly grateful for the Suncoast Professional Firefighters & Paramedics IAFF Local 2546 investment in us. We will continue to offer our families in Sarasota the accessibility of our parent/child classes, mental health counseling and thoughtful support. Our relationships with the young people we serve and their families result in positive outcomes that benefit our whole community. Teen Court of Sarasota, Inc. is an alternative to Juvenile Court, allowing a young person a second chance of having a bright future. Delinquent youth who come through Teen Court participate in a court program run by their peers; there are teen prosecuting and defending attorneys, teen clerks and bailiffs, and teen jurors who determine appropriate sentencing of community service hours and jury duties, all under the supervision of a volunteer adult judge. Student volunteers who participate in our Teen Court program receive a law-related education along with community service hours for their time. In complement to the Teen Court program, the organization also offers counseling services, drug prevention, anti-bullying, and anger management classes to those youth who demonstrate extra need.